The only secure file transfer worth choosing. Every time we put our social security or credit card numbers into an email, or send our tax documents to our attorney, or business plans to an associate, every time we use a virtual fax to receive our personal medical records–every moment that our private information is out there, there is someone looking to steal it. It’s not isolated to breaches within huge organizations, it affects every individual and even the smallest of businesses. It’s not just identity theft, hackers also want to steal intellectual property, work product, help a competitor to take your clients, it’s endless. The more you neglect to send your files safely and the longer these vulnerable documents sit on unsecured server, out of your control, the more your risk increases exponentially. It’s about time your files were safe. It’s time to use SENT. Your files are uploaded from your computer to SENT servers using TLS. While the files are being processed, both your data at rest and metadata related to your file are encrypted using AES-256 encryption. We use a hardened key management system with new keys issued for every file transfer. In addition, users have the option to further password protect any file transfer. Finally we mitigate the vulnerability of your file by limiting the amount of time that it is available for download, because the less time it’s accessible, the safer it is. SENT is NOT a file storage or sharing site like DropBox. We enable encrypted file transfer to ensure that your important files are SENT and received safely. Files are hosted for a maximum of 5 days, then they are deleted from our server, so that only the sender and the recipient have possession of it. Encrypted email solutions are cumbersome to use and can then reside, not only on the sender and intended recipient’s computers, but on multiple email servers indefinitely. This creates a higher level of vulnerability in multiple locations. SENT keeps it simple so that your files stay secure. Enterprise For Everyone. 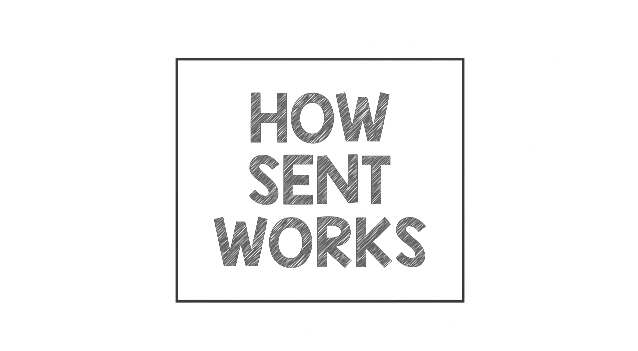 SENT is designed to give everyone the capability to send and receive files securely, like huge corporations do, without the cost or complications of large scale infrastructure. SENT makes enterprise-level security affordable and easy to use. Pay for what you use. SENT is priced for small business and individuals. We are proud to offer Pay-As-You-Go options, subscriptions, as well as allow users to earn SENT Stamps that never expire. You can even give SENT Stamps to friends or colleagues to use. With SENT you will always have an option. We are technology consultants and it’s our job to keep our clients’ data safe. You can configure a dedicated VPN, or physically deliver a file to someone on a memory stick, or you can save all that time and money and just use SENT. Michele M, Owner, Consul-vation, Inc.
Our engineers need to send designs to and from our clients, the files are huge and need to be secure. SENT is easier and safer than email and has no file size limitation. It is everything we need. We have been desperate for a safe way to send and receive our clients’ private tax information. This is awesome! 2018 © TSB Technologies, Inc. All Rights Reserved.